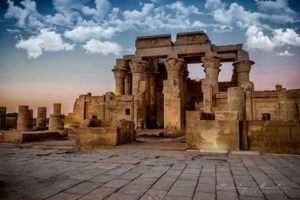 Today, you will explore two amazing temples, the temple of Kom Ombo, and the temple of Edfu, both of them were built during the Greek_Roman era. Kom Ombo or (the hill of gold) is famous by its temple and the sugar factory. It was very famous as sanatorium, so that there are seven medical clinics in the back of the temple. The 1st part of the temple is cut off by Muhammad Ali to build the sugar factory. 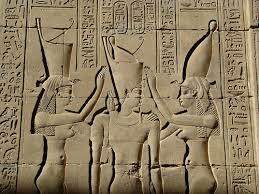 The city of Edfu is in the midway between Luxor and Aswan. It is about 110 K.M from each city. It is famous by the Greek temple of the God Horus. You will approach the temple by the Mamisi or (the birth house). There are some amazing scenes as the scenes of the first pylon and the inner rooms such as: the festival scene, the foundation scene and the famous scene of the battle of Horus and Seth.